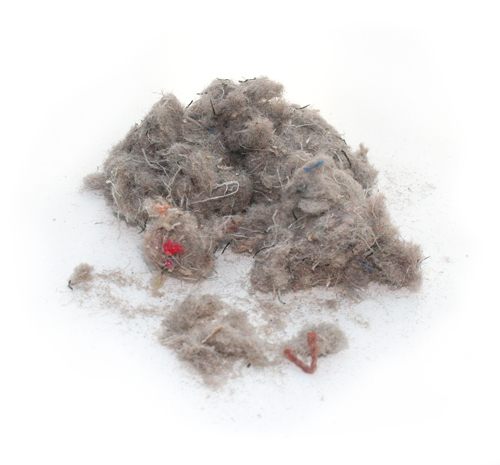 At Pennine Textiles and Recycling we ONLY use post manufacture carpet trim when shredding for equestrian riding surfaces – this means NO carpet gripper, nails or other potentially dangerous objects are in the blend from source. Our eco-friendly recycling process makes use of a powerful magnet, just in case! Can your riding surface supplier provide this guarantee? Substandard equestrian arena flooring takes the joy out of riding, can compromise performance, cause untold hardships for a horse and put him at risk of injury and degenerative problems such as osteoarthritis. We help provide horses the consistency and support required to perform at their best. Our 100% Synthetic Equestrian fibre blend is chosen to add to sand as it ticks so many of the boxes required for an excellent equestrian surface. The fibre, being of synthetic origin, will not break down or degrade thus enhancing the life expectancy of the end flooring product. An additive waxing technique is also used on the fibre to reduce dust and aid moisture retention. We also remove up to 150 kilos of dust and undesired material from the blend as part of the process, leaving us with the cleanest, safest and most environmentally friendly equestrian fibre in the marketplace. How does Pennine Textiles and Recycling’s, eco-friendly fibre improve equestrian arena surfaces? Pennine Textiles and Recycling are pleased to announce a relationship with Andrews Bowen who are world renowned leaders in Equine Surface Technology. Our connections with some of the UKs leading Carpet manufacturers ensures we process ONLY 100% post manufactured synthetic carpet giving us complete control of what we use, through traceability and our 25 years experience in Textile Blending. Unfortunately, many competitors, who have no textile background, are using post consumer carpet which is destined for landfill, thus have no control over what is actually in the carpet. What does this mean? If this doesn’t scare you, here’s why it should! Post consumer carpet comes from households or offices. This means it could contain Stanley Blades/Gripper Rods or even Nails that fitters have not disposed of correctly. In many cases, our competitors are actually importing fibre from overseas where quality control has been taken out of their hands leaving them completely unaware of what exactly is in the fibre they are purchasing for resale. 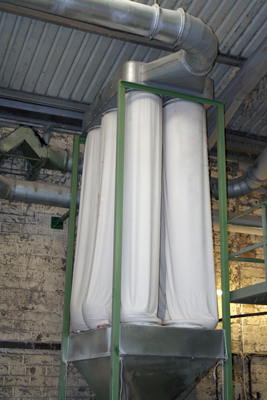 At Pennine Textiles and Recycling we extract over 100 kg of chalk and latex per 1000kg of carpet processed – leaving only the fibre length which is critical for this product. It is then shredded and passed through electro-magnets and dust-extraction before being baled and stored in our own warehouse ready for delivery. Our understanding and attention to detail of what they require in their end product is why Andrews Bowen have put their trust in Pennine Textiles. It’s why it’s the cleanest, safest and most environmentally friendly equestrian fibre in the marketplace. If you wish wish to find out more about our product and what we do, please do not hesitate to contact us via the contact page or call Dave on 01484 655226. Alternatively, you can contact Andrews Bowen direct on 01995 672103 who will be more than happy to discuss your requirements for surfaces no matter how big or small.